•The sample gas in sampling bag to save time should not be too long,specific saving time depend on detection limit of experimental analysis requirement,gas component species,temperature and humidity,pressure,etc:generally,for pure inert gas,sampling bag can be used as a temporary storage container and recommended storage time less than 72 hours;for standard gas,flue gas,ambient atmosphere,recommended storage time less than 24 hours. •The gas sampling bag should be cleaned repeatedly replacement if it is reused. 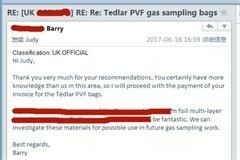 Suggest the same sample bag collecting samples of the same kind gas, don't mix. •Avoid filling pressure higher than 6000Pa, fill gas until the bag is fully expanded, however, it is not so tense when you press it using your finger.The overpressure filling can cause gas sampling bag burst damage. •When sampling and cleaning,please do not exceed 80% of the calibration volume,take 1L sampling bag for example,suggest sampling volume is less than 0.8 L.
• There must be a blank sample compare for precise experimental analysis to do background deduction. 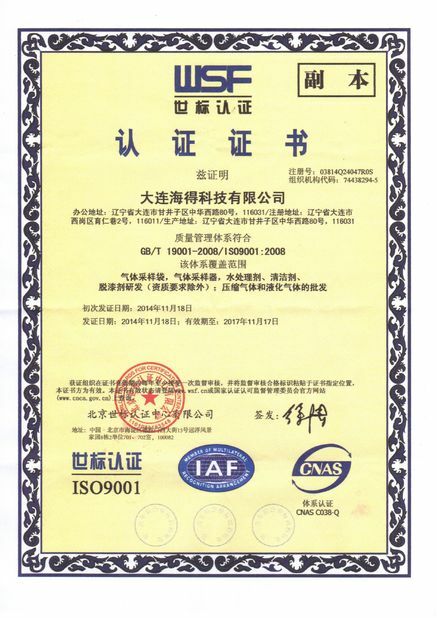 • For high-temperature high-pressure gas should be down to normal temperature and pressure to sample,specific treatment method according to actual situation. 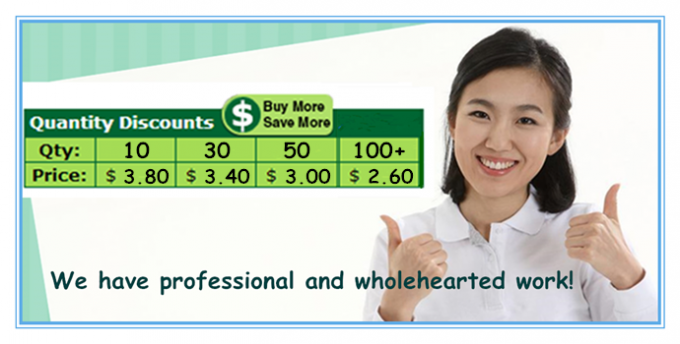 • For negative pressure gas, should be sampled by appropriate power and flow rate vacuum pump. 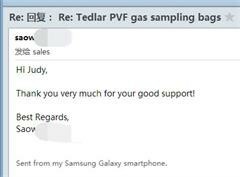 • For the gas containing particulate matter,dust and aerosols,should adopt filter to prevent polluting the sample bag,then difficult to clean. • Exclusive and unique solution can be provided to our customer by our well-trained and professional engineers and staffs.